We have just recently sold our lovely little home! I'm really sad to be moving on from this flat - our first home we've owned together, the inspiration for 91 Magazine's name (91 is our house number) and where we brought our first baby back to a week after she was born. So many great memories and also the first place I've really been able to put my stamp on in terms of the interior. I think I'll be especially sad to leave our kitchen behind, as I love it and put so much effort into it. But hey, it's time to move on and give our family more space to grow. We have just had an offer accepted on an amazing house but of course you can never celebrate until contracts are exchanged, but it doesn't stop me from dreaming about what I will do to the place! 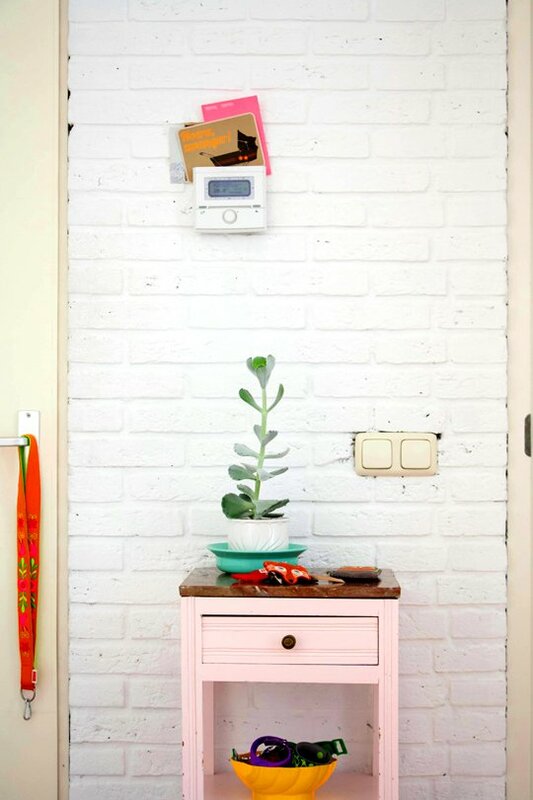 I'm definitely feeling that I want to continue the kind of look we have in the kitchen now - a white backdrop with lots of dashes of pastel and bright colour. 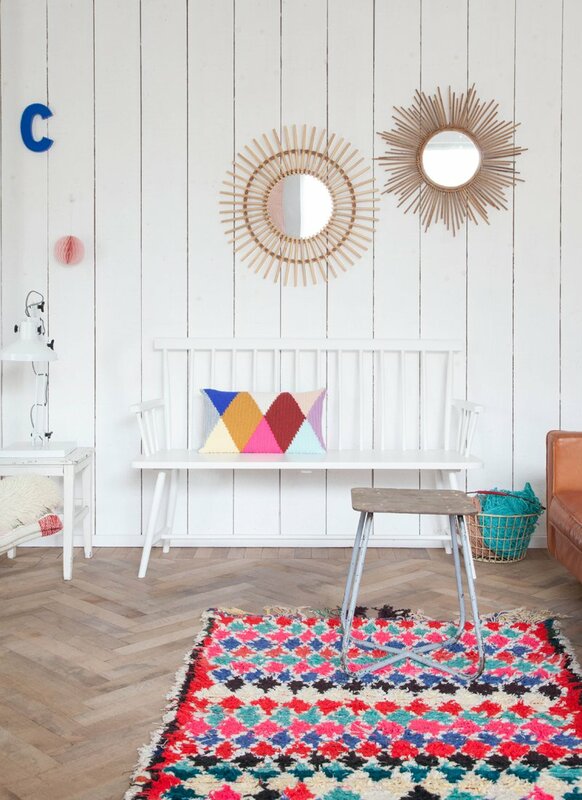 My heart is still with white painted floorboards, but I'm also really liking polished concrete flooring and I love parquet too. I thought I'd gather images of some of my favourite homes which I've lusted over for a long time, many of them belong to bloggers who I really admire., and whose homes I will be taking lots of inspiration from for our new place. This is the home of Zilverblauw owners Anki and Casper. I actually wrote a home tour feature about them for Mollie Makes a while back, and totally fell in love with their style. Their Instagram account is a must follow. I've loved Yvonne of Yvestown's home for a very long time, and I never seem to tire of it. It's so fresh and I love the colour and pattern she has introduced. These images were taken by Holly Marder for her Homes with Heart column on Decor8. In fact, her column has given me lots of inspiration and some of the other homes here were found via her posts. I love a feature wallpaper wall like Yvonne has above, so I am keeping my eyes peeled for some great designs. I love this pattern, designed by Josef Frank available from Svenkstenn. Below is another home which I had the honour of writing about for Mollie Makes. It is owned by Marie of Oh Marie. 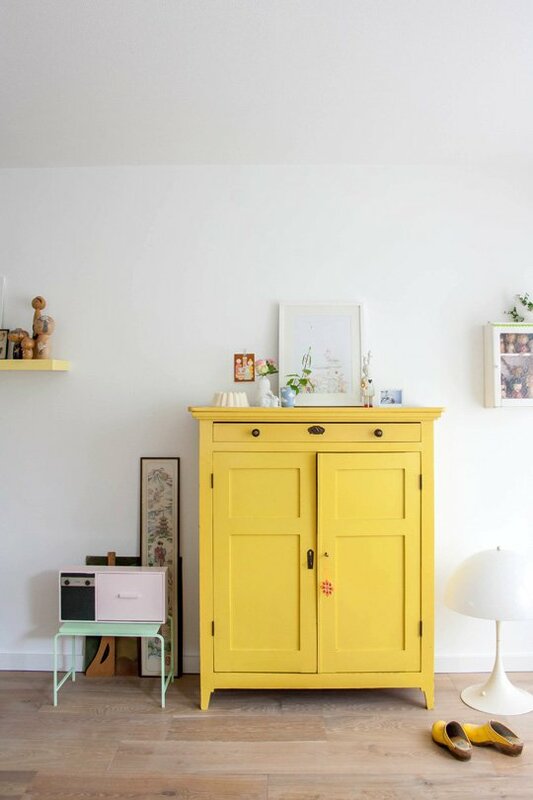 These shots were by Holly Marder again and you can view the whole set on Decor8. I love that statement rug and how she has injected colour by painting furniture in vibrant shades. I love the white brick walls too, but I imagine we'd be very lucky to find those in any houses around Surrey! 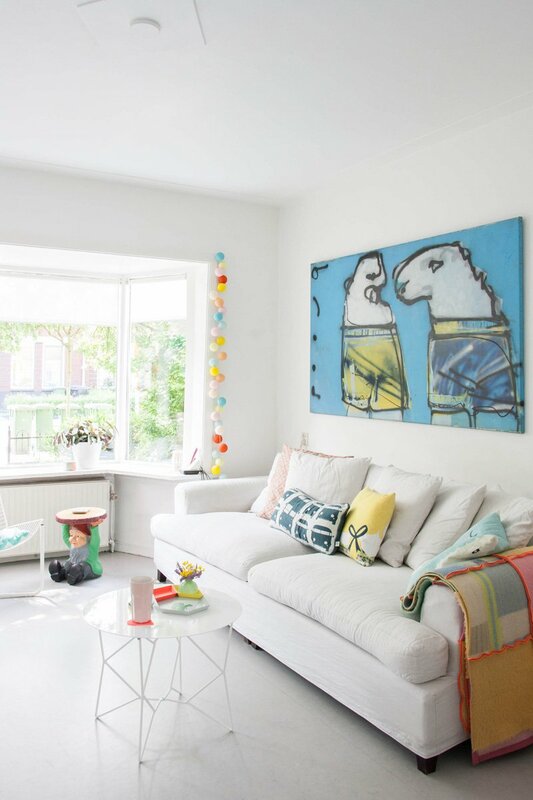 Holly Marder also snapped this stunning home in The Netherlands for her Decor8 column. (more pics via the link) Contemporary design mixed with vintage finds and upcycled furniture. Perfect. and another Ingrid - this time of Wood and Wool Stool in The Netherlands. These images were also shot by Holly Marder - more on Decor8. I love the introduction of grey on the walls in both these homes, and of course their amazing furniture! Oh and the floor in the last two images. I could forfeit my white floors for this I think!